The 2018 Defensible space grant application period is now open. 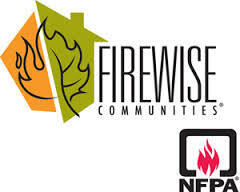 Lake Chinook Fire & Rescue offering private landowners the opportunity to apply for funding in an effort to minimize fire danger as outlined in the Jefferson County Community Wildfire Protection Plan (CWPP). Most of Lake Chinook Fire District is considered to be an extreme fire hazard environment. The potential consequences of severe wildfires are devastating and costly. As an incentive, landowners are eligible to receive $300 if they reduce the threat of wildfire to their property by cleaning up the area around their home, called the ignition zone. This is the first 30' around a structure and more immediate, the first 5' from the structure. This will increase their home’s resistance to wildfire while also helping to save firefighters’ lives. Applications are now being accepted with a project completion date by July 1, 2018. The grant will fund removal of brush and hazardous combustible fuels 30' around structures encouraging you to become "Ember Aware". The overall goal of this project is to reduce the threat of catastrophic wildfire to the communities by reducing hazardous fuels on private lands. This project is in compliance with the Jefferson County CWPP priorities of reducing fuels within the willand urban interface and providing defensible space. This is a competitive grant. Properties will need to apply for the grant and be awarded as to the need and benefit. There will be a $300 incentive to property owners selected. The application process in now open. Step 1: Fill out the application and include (3) images of the area to be treated. Step 2: Send the application to COIC via email (preferred) or mail. documentation or clarification may be requested of you by COIC. project is approved and if you can proceed.